Packed Size: 2.5 in. 4.5 in. Inflated Dimensions: 15 in. x 11 in. x 4in. I am typically the kind of person who will sacrifice comfort in the name of space and weight savings. 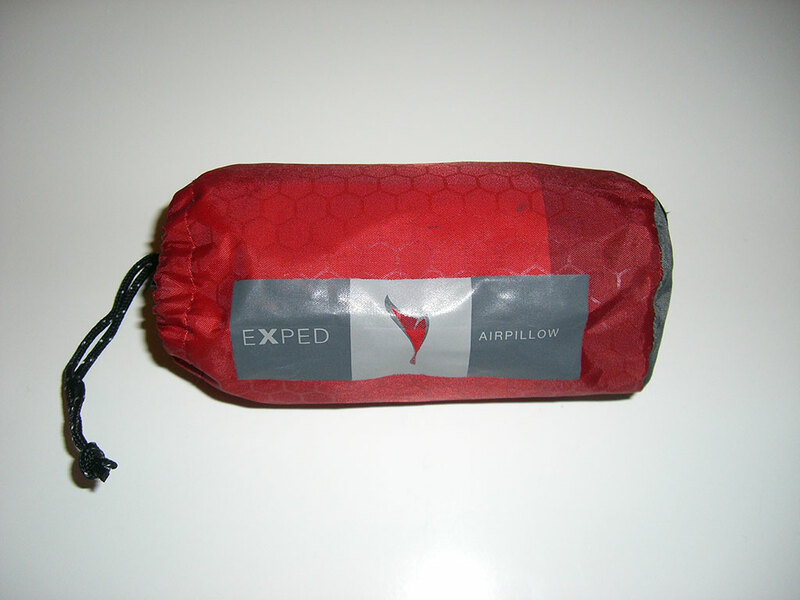 Once in awhile I come across products like the Air Pillow by Exped that are so light and consume so little space that they are worth adding to my pack. 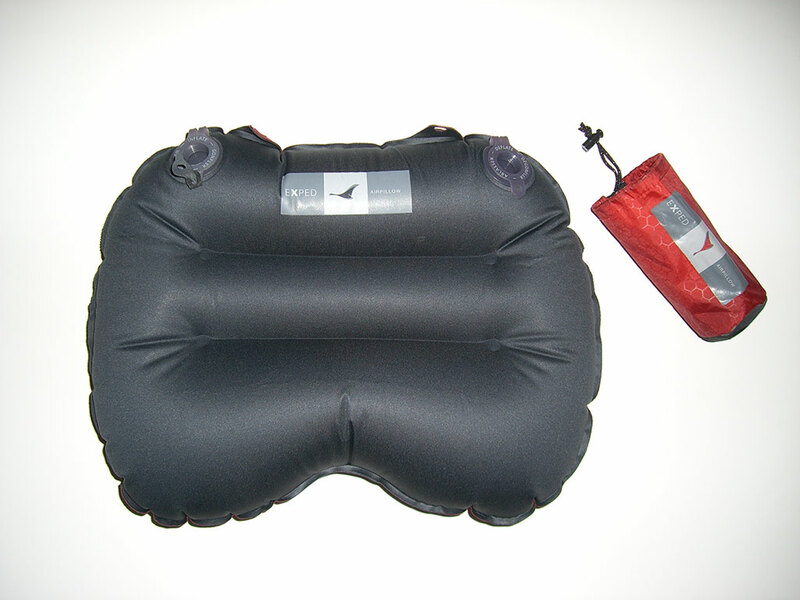 The Air Pillow is extremely easy to use. One or two breaths through the large inflation valve is all it takes. The air stays in the pillow between breaths even when the valve is open, allowing for a tight pillow if that is your desire. Personally I prefer it a little lax. 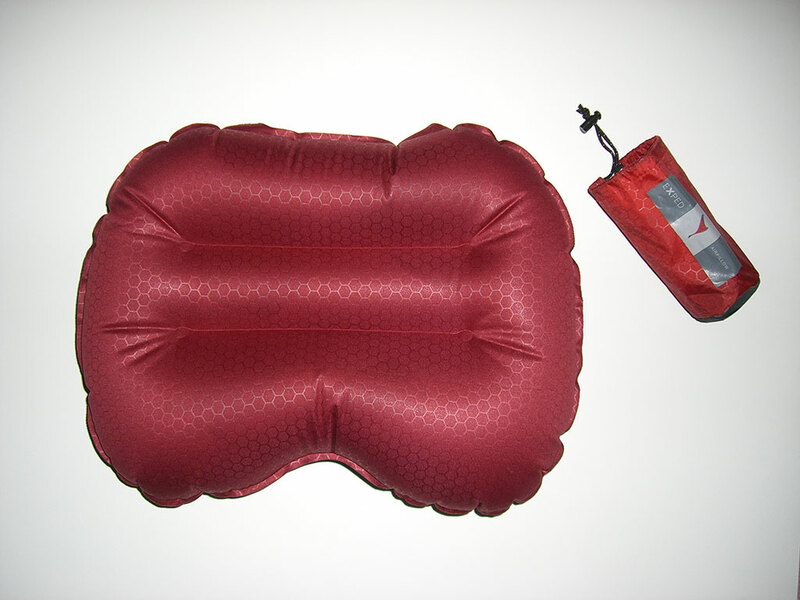 Deflation is just as easy, involving opening the deflation valve and crumpling up the pillow to push all the air out. 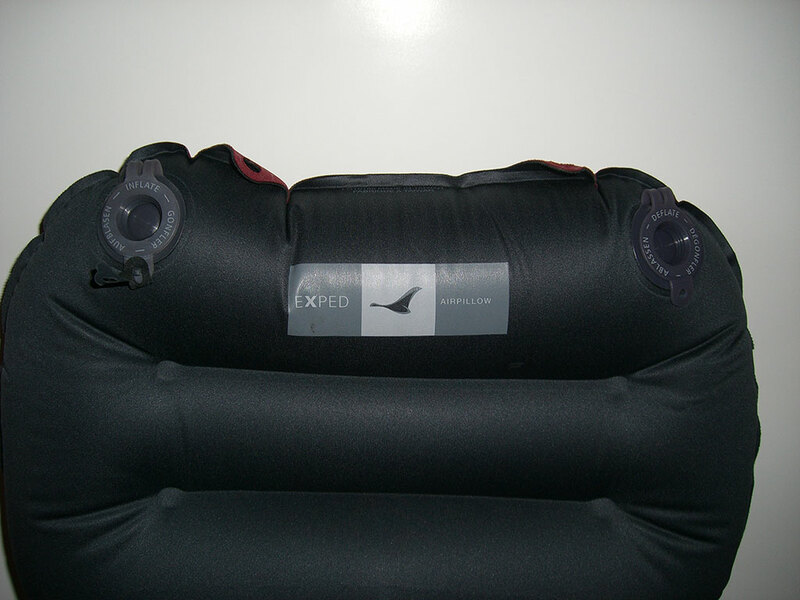 I always use the Exped Air Pillow inside my mummy bag hood as opposed to outside and under my sleeping bag. It does. 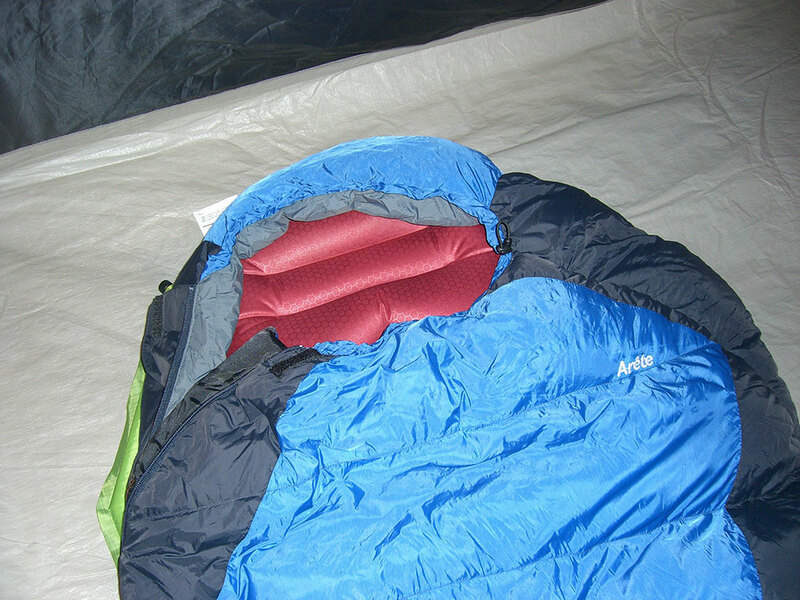 however, have loops for attaching to Exped sleeping pads if you want to keep it outside your sleeping bag. The shape of the Air Pillow allows it to fit perfectly into my mummy bags. It remains in place throughout the night even as I shift sleeping positions. 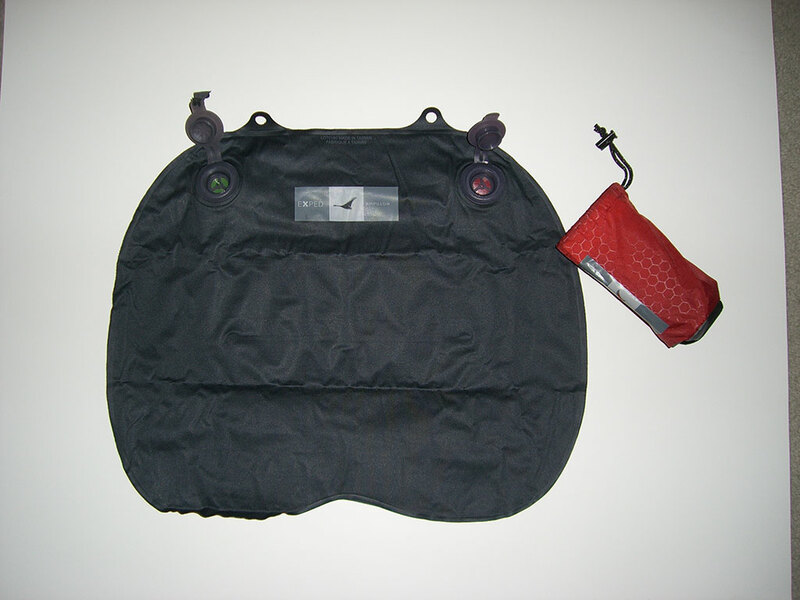 The soft tricot fabric helps makes the Air Pillow comfortable along with its contoured shape. 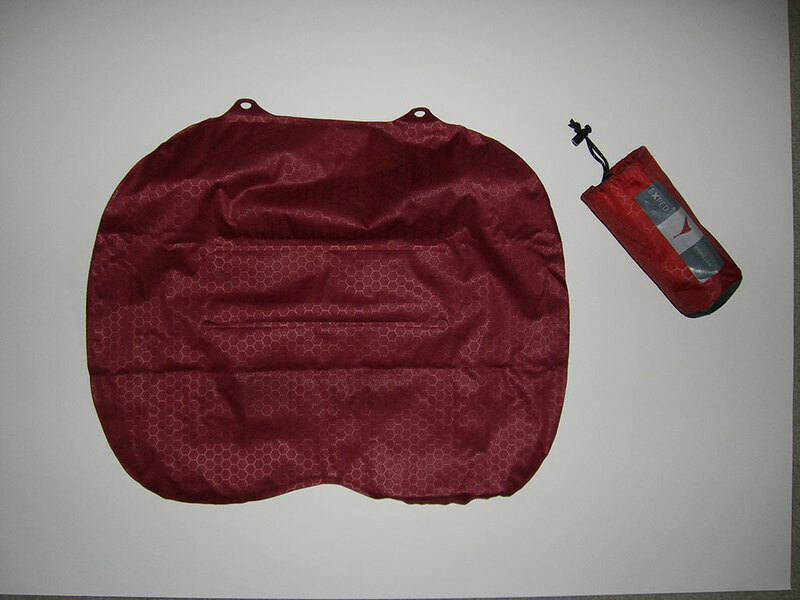 See "Backpacking In The Snow Near Birds Butte, Oregon", "Snow Camping at Twin Lakes", Snow Camping in Upper Clackamas, Oregon, and Winter Camping at Shellrock Creek, Oregon adventures where this air pillow was used.